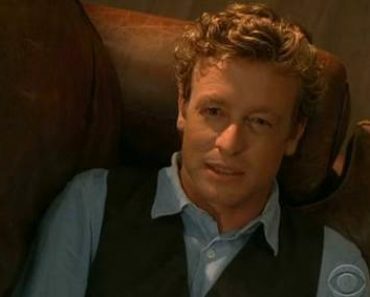 The Mentalist “Bleeding Heart” begins with Agent Teresa Lisbon (Robin Tunney) and consultant Patrick Jane (Simon Baker) being interviewed by a camera crew in the CBI office. Both look uncomfortable, but Jane seems extremely uncomfortable, and after being asked why there’s no such thing as psychics, Jane leaves the interview. Lisbon isn’t happy with the camera crew either, but the bureau’s PR rep lets her know that they need to do some polishing of their public image after the devastating deaths of Bosco and his team inside the CBI building. Further investigation leads the team to suspect that the mayor was being bribed to approve projects on previously protected lands. Though the mayor’s assistant initially said the murdered aide didn’t have any kind of a social life, the mayor tells Jane and Lisbon that the victim had a secret lover, one who gave her a topaz pendant. Jane surmises that the aide was good-looking enough to have had more than one lover. Back at the CBI office, the documentary continues. Asked by the video crew why he doesn’t like being filmed, Jane tells them “You’re stealing my soul.” Cho turns the tables on the reporter Mike (Roark Critchlow), interrogating him instead of the other way around. After a series of questions about his career choice, Cho evaluates “So, you’re ambitious, but you haven’t gotten very far.” Rigsby chuckles behind his computer. Reporter Mike is not happy. Cho smiles. After a particularly bad episode with the cameraman, Lisbon drags Jane in to find out what his problem is. After all, he should be the one most comfortable in front of the cameras. Jane explains that the last time he was on camera, it didn’t turn out so well. Lisbon probably should have realized sooner that his showmanship is what led to the death of his family, and she instantly regrets admonishing him. Jane apologizes to the cameraman and reporter, however, and offers to take them to lunch. While they are having a quick bite, a van pulls up and masked men with guns pull Jane into the vehicle and drive off. The cameraman unfortunately only has a taco in his hand, and no camera to capture the event. Jane is blindfolded and led to a cabin in the woods. His blindfold is removed and he’s confronted by the masked men, one of whom he surmises is eco-terrorist Jasper. Jasper wants Jane to carry a message that he’s not the one who committed murder or attempted to kill the detectives. Unfortunately Jane reveals that he’s figured out Jasper’s identity–the mayor’s assistant Wilson. Perhaps I just know Sean Maher too well, but I had this figured out from the first moment I saw Jasper–and it was confirmed when he spoke. Jane had it figured early, too, from body type, mannerisms, patterns of speech. “Who else says ‘in actuality’?” Jane taunts in his usual way. While Jasper tries to decide what to do now that Jane knows his identity, Jane tries to talk his way out of his own possible murder, saying he can help Wilson. He succeeds in getting Wilson to a near state of hypnosis, when they’re suddenly interrupted by a loud shout that the house is surrounded by law enforcement personnel. Jane urges Jasper to stay calm. When Lisbon and the cops burst in, Jane is alone and restrained and Jasper has escaped out of a trap door. 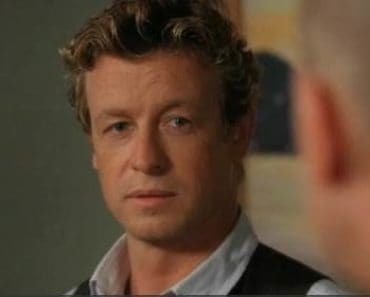 Jane is impressed that they found him so quickly, and Lisbon is insulted that he thinks they can’t function without him. Back at the CBI office, Jane surprisingly tells the team that Wilson is the killer and that they should be able to capture him at his house. Reporter Mike asks if they can get the arrest on camera to help wrap up their piece on the CBI, and Lisbon relents. As they surround the house and wait for a warrant so they can storm the place, Mike starts questioning Jane about the reasons why he joined the CBI. Jane uncomfortably explains about the death of his family, then turns it into a discussion of love and love lost. Suddenly his questions to Mike seem very pointed, and we realize that while Wilson/Jasper was a lover of the murdered aide, so was Mike. 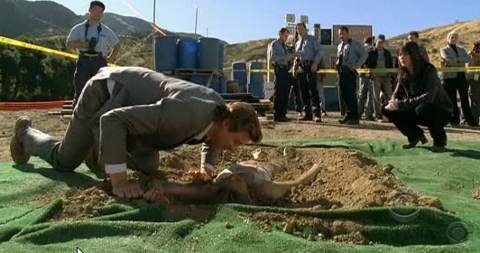 Jane guesses that Mike has the topaz necklace that he gave to the victim, and that he’d been hoping to plant it in Wilson’s house to frame him. As the cameraman keeps filming, Jane pulls the pendant from Mike’s pocket, then Cho arrests him. Jane takes the cameraman’s tape for evidence. 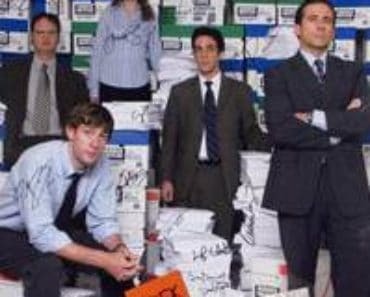 After questioning, Mike confesses that he’d been begging the aide for information about possible corruption in the mayor’s office–that the scoop could make his career. She wouldn’t tell him a thing, but then one day he discovered an expose she was writing about the mayor. Jealous and enraged at her cutting him out of the story, and pushed over the edge when she started mocking him, he killed her. Jane remained true to his word to help Wilson. Due to the way he handled things, Wilson is able to cut a deal with the DA in exchange for information about the mayor’s corruption. As the team meets in the office, Rigsby and Van Pelt make an announcement. After seeing how secrets destroy people’s lives, they’ve decided to let everyone know that they’re lovers. “No you’re not,” Lisbon insists, stunned. Jane tells them it was obvious, and Cho says half the building knew. “The only one who didn’t know is the person who’s glaring at you right now,” Jane teases. Lisbon is upset because now she has to “do something”. Rigsby and Van Pelt apprehensively wait to see what she will do, along with the rest of us. Read all the TVOvermind The Mentalist recaps. 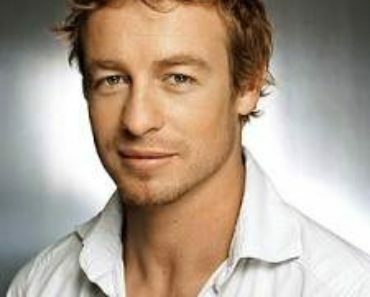 Watch The Mentalist on CBS, Thursday nights at 10/9c. 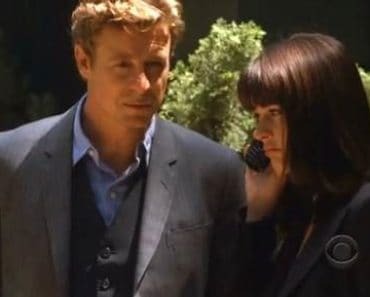 PHOTO: Simon Baker as Patrick Jane, Robin Tunney as Teresa Lisbon, The Mentalist “Bleeding Heart” screencap, c2010 Primrose Hill Productions, Warner Bros. Television, CBS. 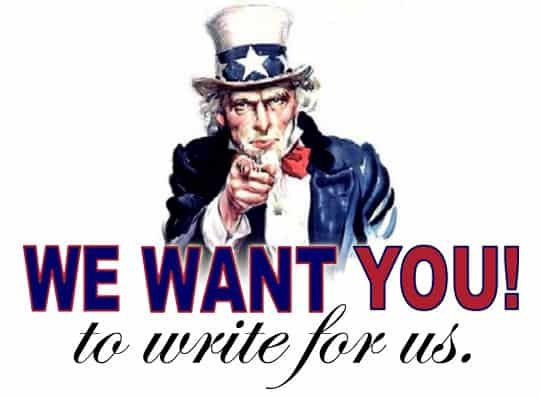 Valerie David runs the TV News and Reviews blog. She's written entertainment pieces and conducted interviews for AC, TVNow and IMDB. She is also a published fiction author. Favorite shows include: Lost, Medium, Heroes, The Closer, The Mentalist, Burn Notice, and Law & Order: CI. She worships Doctor Who and has an unhealthy passion for Captain Jack Harkness.